JOIN OUR VIP TEXT MESSAGE CLUB! free popcorn just for joining! 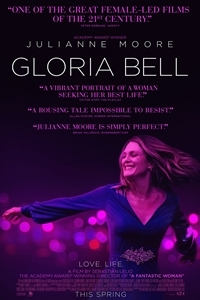 Gloria (Julianne Moore) is a free-spirited divorcée who spends her days at a straight-laced office job and her nights on the dance floor, joyfully letting loose at clubs around Los Angeles. After meeting Arnold (John Turturro) on a night out, she finds herself thrust into an unexpected new romance, filled with both the joys of budding love and the complications of dating, identity and family.